1) Take out the seal rings. 2) Using ST, remove the ball bearing. 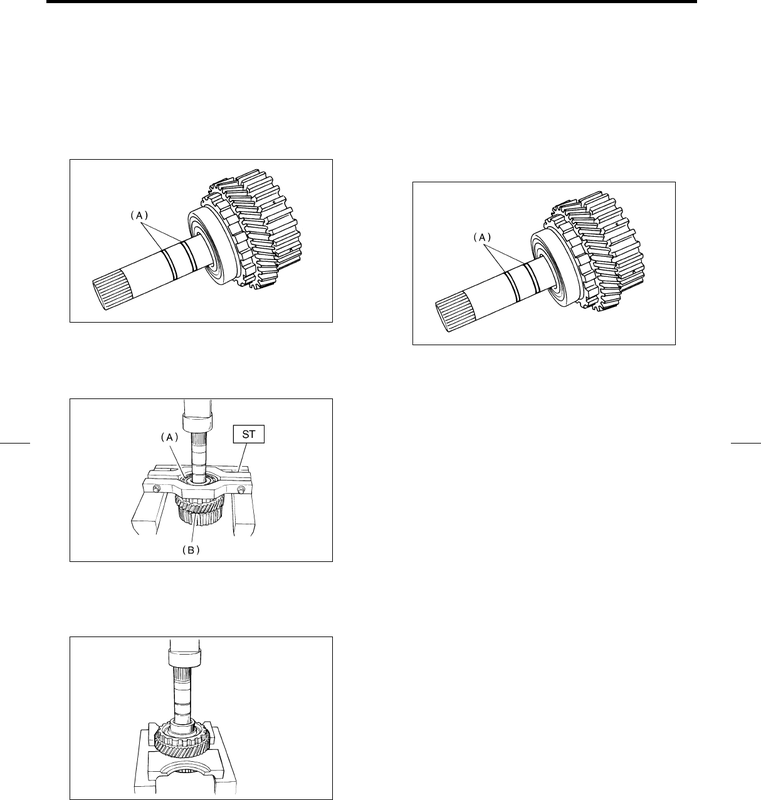 3) Using a press, remove the reduction drive gear. 1) Press-fit the reduction drive gear to the shaft. 3) Attach two seal rings.